Note: If you don’t see the banner, you might have to use a different browser or refresh the page. Click here to visit the Giant Food Store site and look for the banner like the one above (there’s one at the top and one on the right). 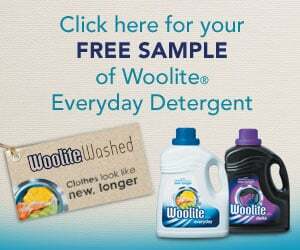 Click it and then just fill out the form on the next page to request a free sample of Woolite Everyday Detergent. According to their site, this should arrive in 4-6 weeks.